This page contains details of the craft in both historic counties, with the exception of the northern detached part of Lancashire; which was included in the previous page. 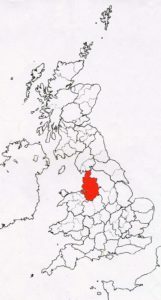 In times past the River Mersey formed most of the county boundary, between these two areas. 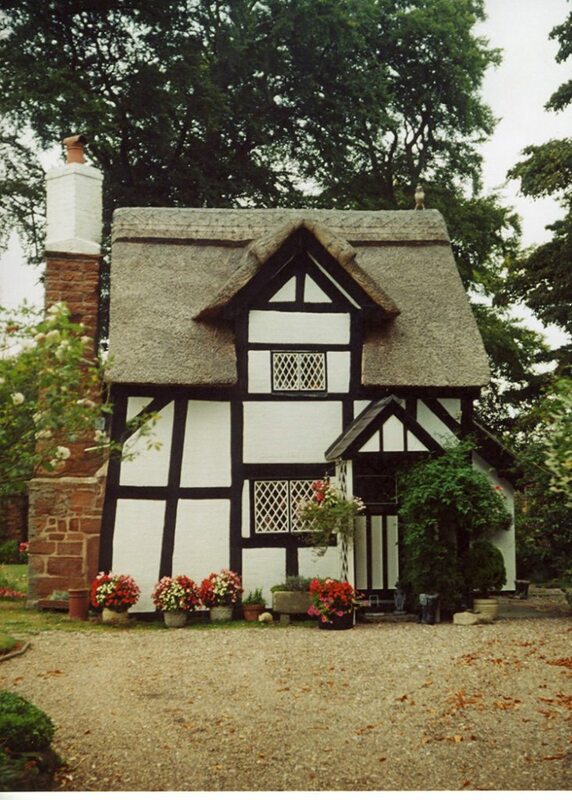 Which the craft of thatching completely ignored; as both share the Northern tradition of thatching. 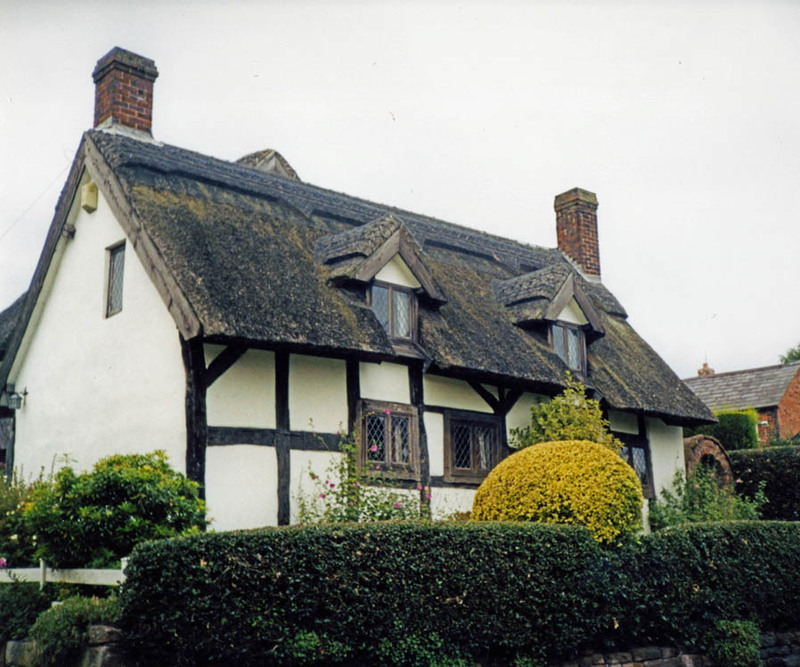 Boarded and rolled gables are common, with a fairly angular roof shape to any coatwork. In the past, some turf and mortar were used for ridging; along with the now normal straw. 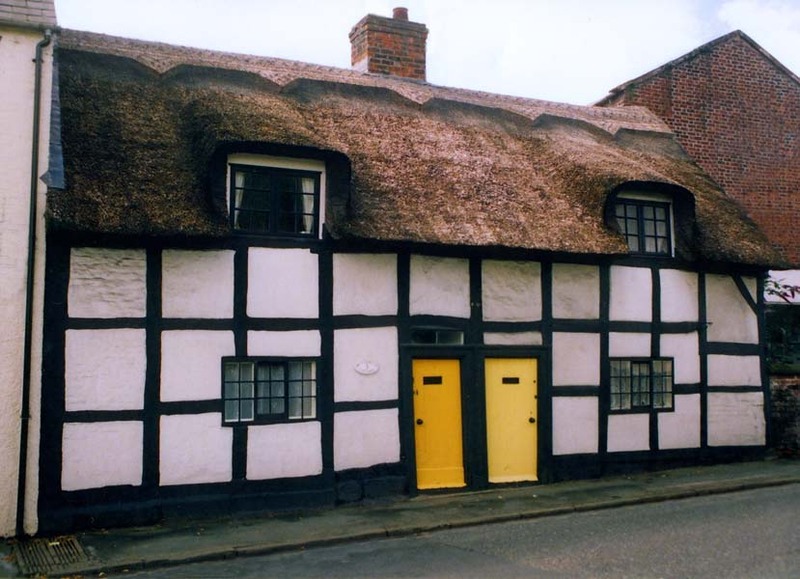 Long straw is the historic thatching method and material, using the stems, of both wheat and rye. But water reed has now become the dominant material, especially in Lancashire. All parts of Cheshire and the lowland districts of Lancashire, still have examples of the thatcher’s work. The craft is also found, in surprising numbers, in the modern conurbations, of Merseyside and Greater Manchester. By far the largest group, is in the Churchtown area of Southport. 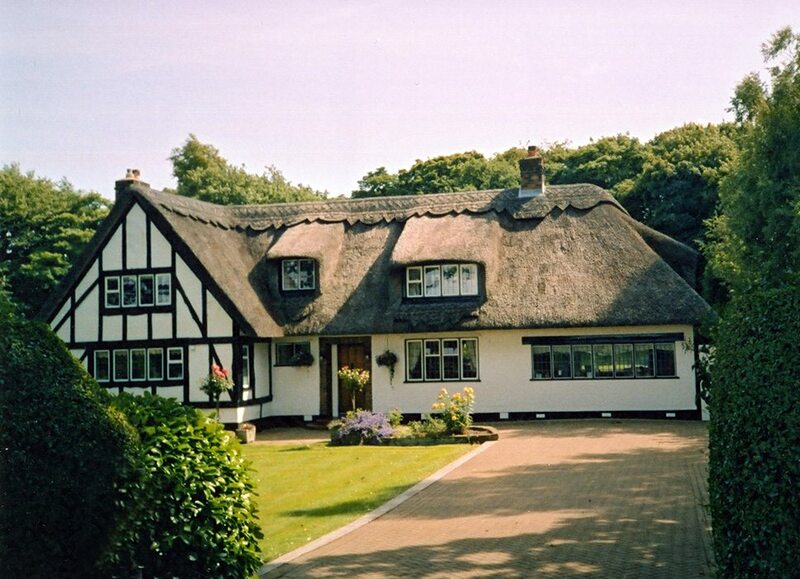 This unique spot, has the greatest concentration of thatch in northern Britain….. 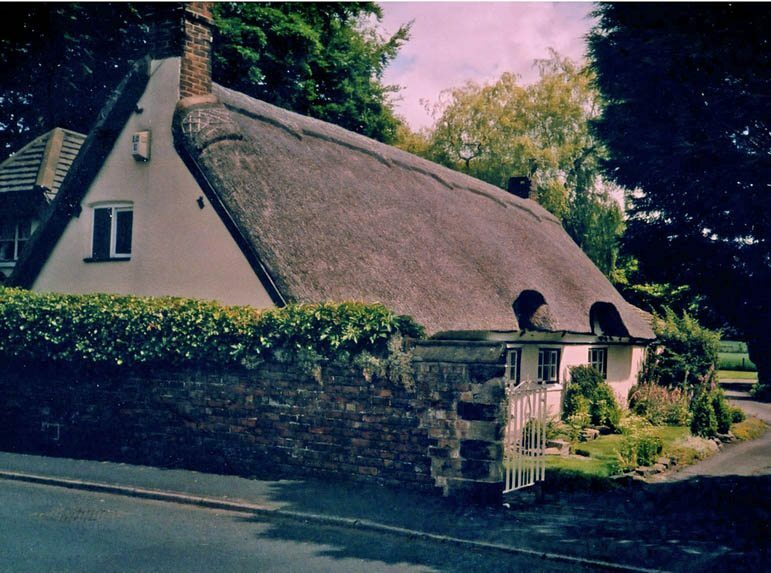 Rolled gable… In Combed wheat reed, at Croston, east of Southport. 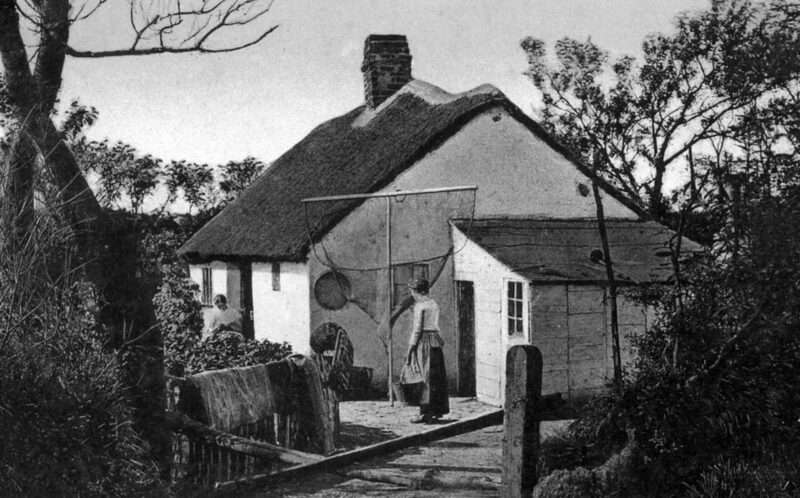 On the left Crompton’s birthplace… This Edwardian image, shows straw thatch held on with sparred wire, similar to thethatched ricks hereabouts. The modern view is very similar, except a roof of water reed, protects this historic home. And a straw ridge has replaced the tiles. 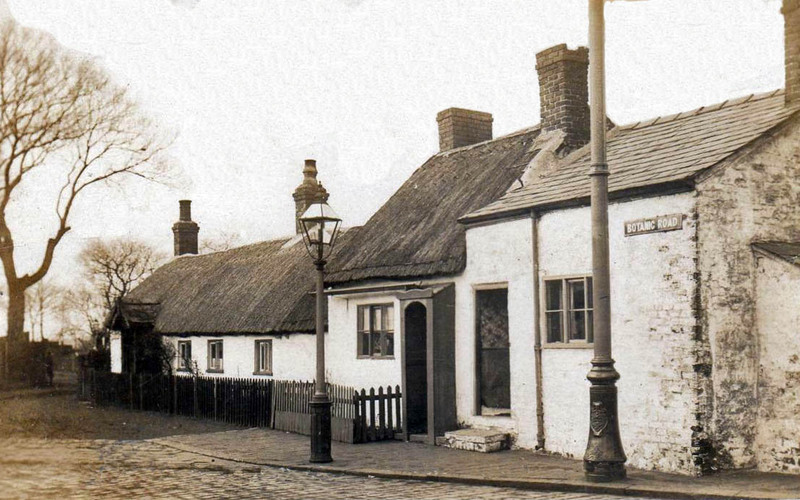 Below are two Lancashire town centre pubs… on the left, the ‘Dog inth Thatch’, which lay in Standishgate, Wigan; captured around 1890, by local photographer John Cooper.. The repaired upper section of the roof has been topped with tiles. 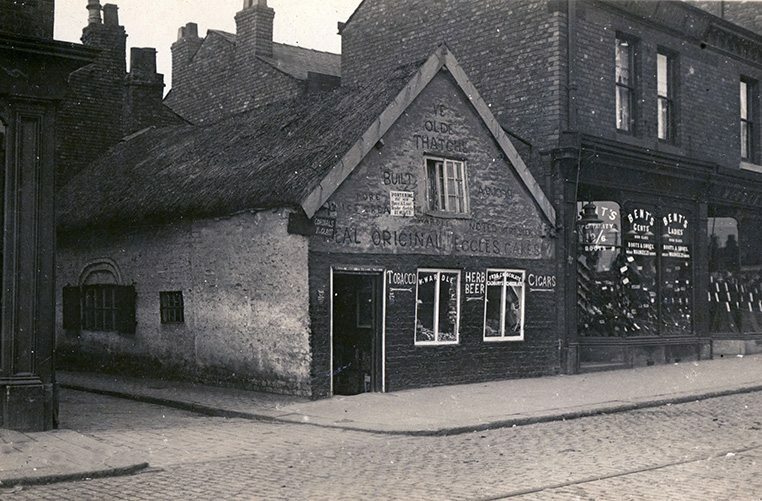 This image must date to just before the building was demolished, seemingly being replaced by another pub of the same name, which survived until the 1970’s.. 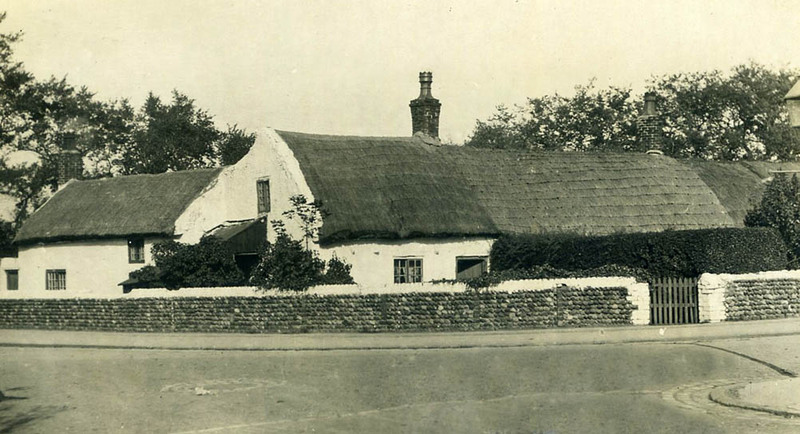 The right image depicts the last thatched building in Preston. 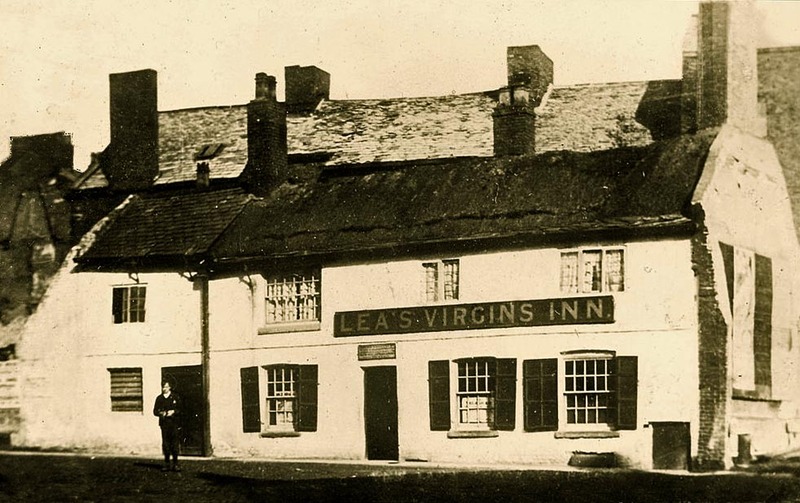 Known in around 1825 as the ‘Currier’s Arms’ by the time of its demolition in 1894 it had become the ‘Virgin’s Inn’; owned by the Lea family. The building lay in the centre of town, near the Market Place. 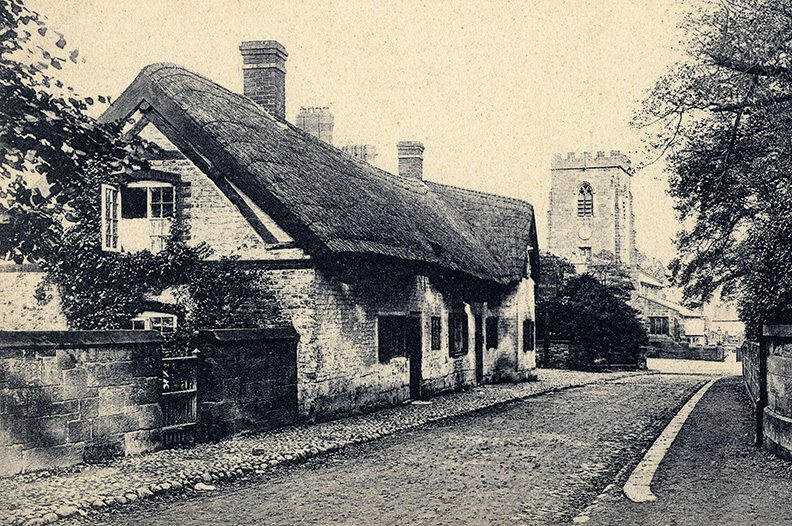 The old building below; claimed to date from 1098. And sell original Eccles cakes, being situated in that Lancashire town; a century ago. 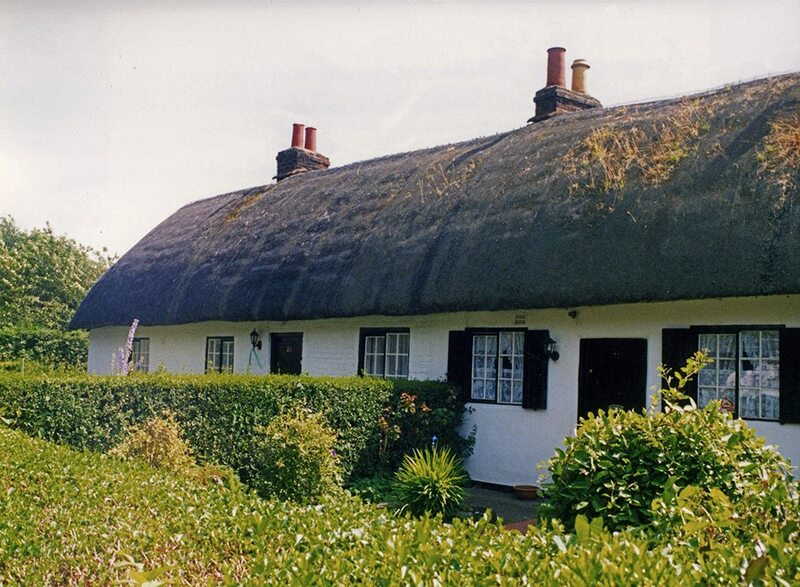 The thatch being very similar to that on Crompton’s cottage, at Bolton. North of the Ribble… This cottage near Threales, is one of a group, found between the Lancastrian rivers, Ribble and Lune, including several near Blackpool. 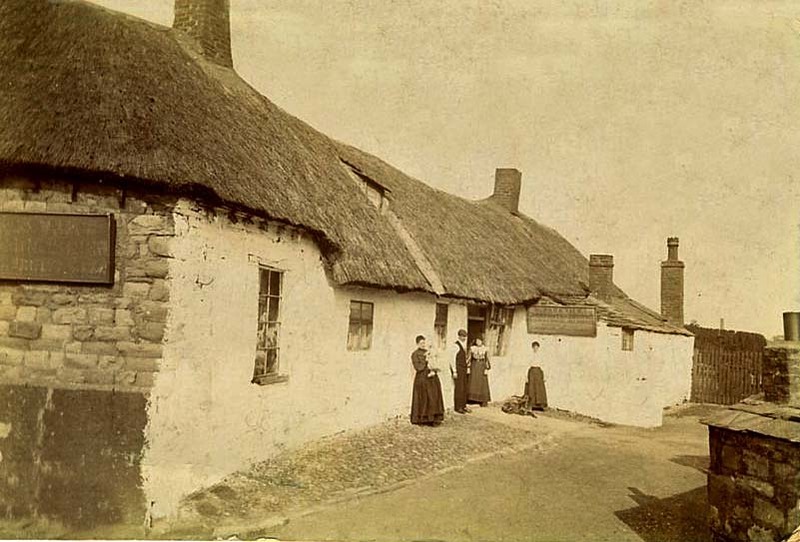 The old image below shows some typical, single story thatch, south of the sea side town; at Ansdell, now part of Lytham St Annes; in around 1905. 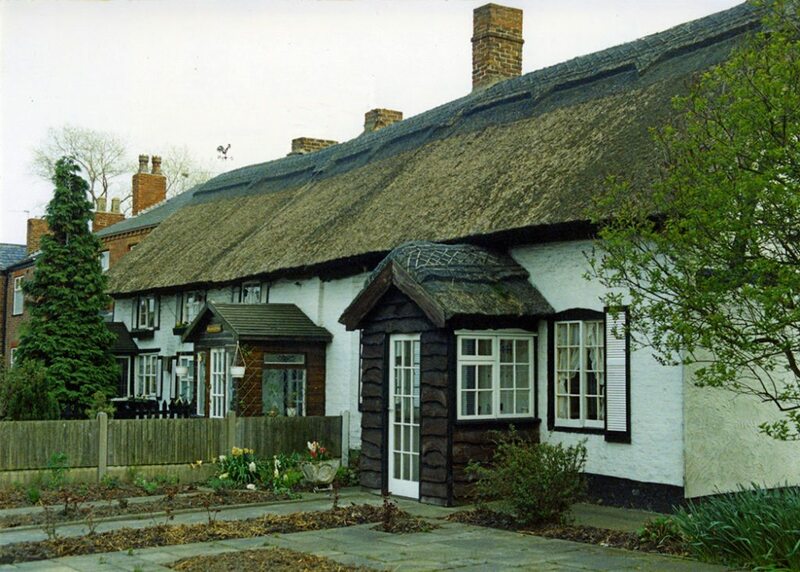 Thatch near the Mersey… Old cottages at Grappenhall, near Warrington, form the left image. 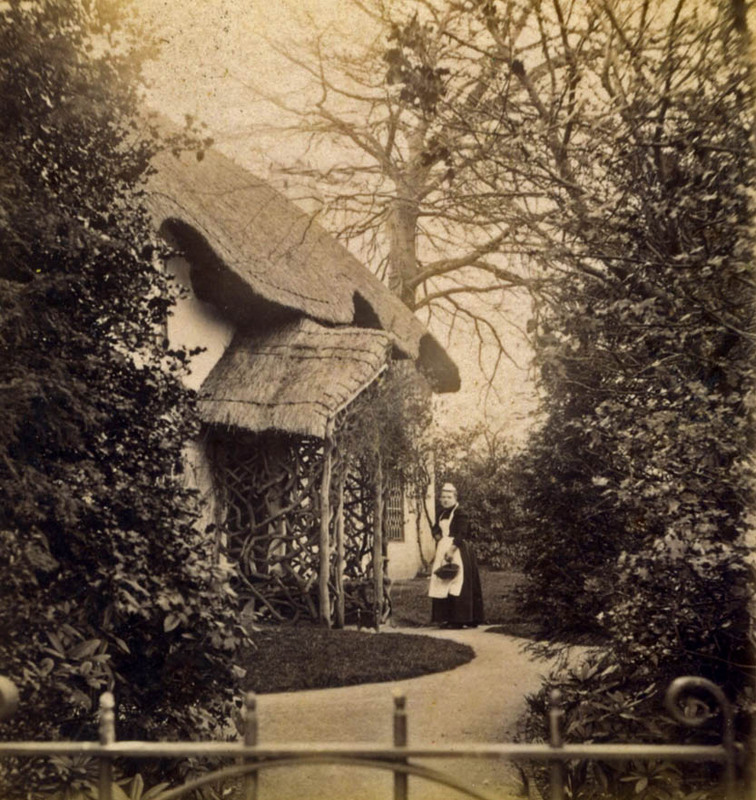 Showing some neat long straw thatching, around 1905. 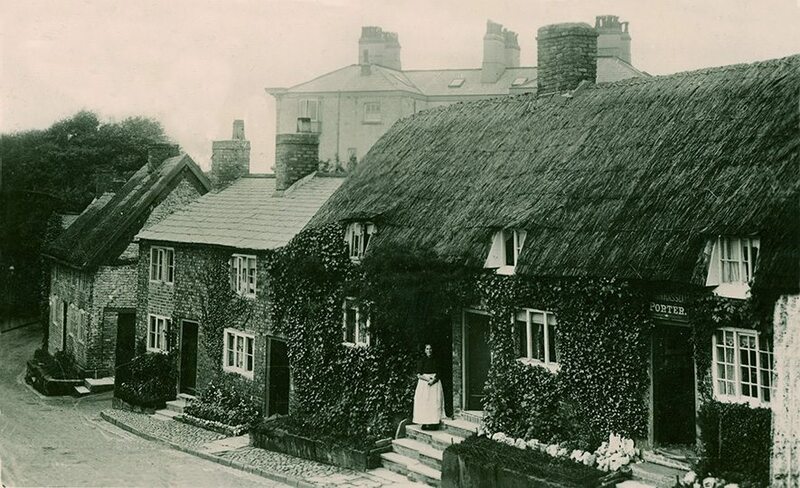 The right image, depicts the two end cottages, of a longer row; at Hale near Liverpool. 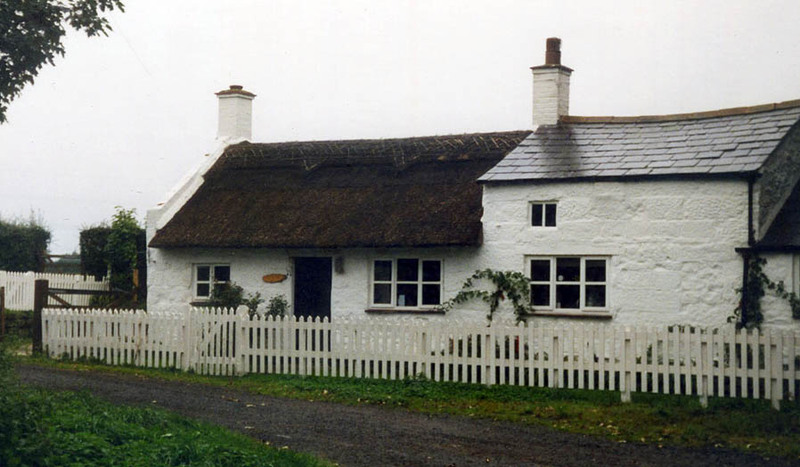 A village containing quite a few old, and some newer large, thatched homes, as shown below. Both settlements lie on the Mersey. And are now incorporated into Cheshire. 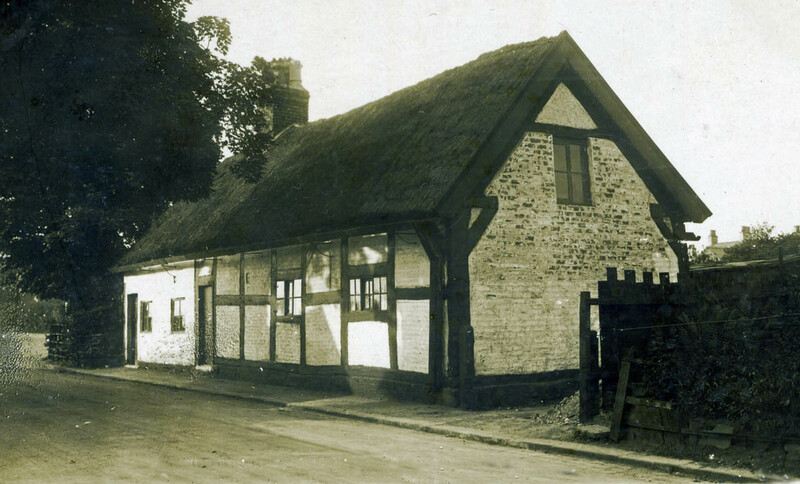 ”The Oldest Cottage in Ashton on Mersey”, this image of around 1910, shows a typical boarded gable end and more unusually, a wooden gutter. 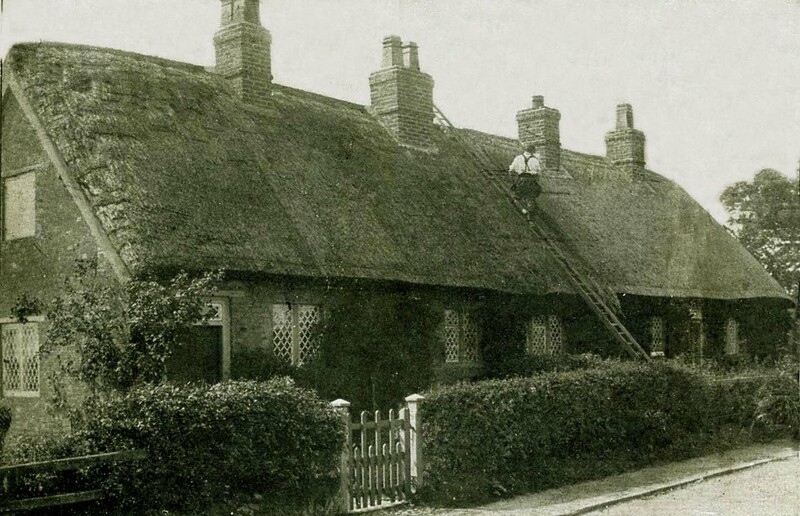 Thatching on the Wirral 1… This old image titled ”a little bit of old Liscard”, dates from the Edwardian period. 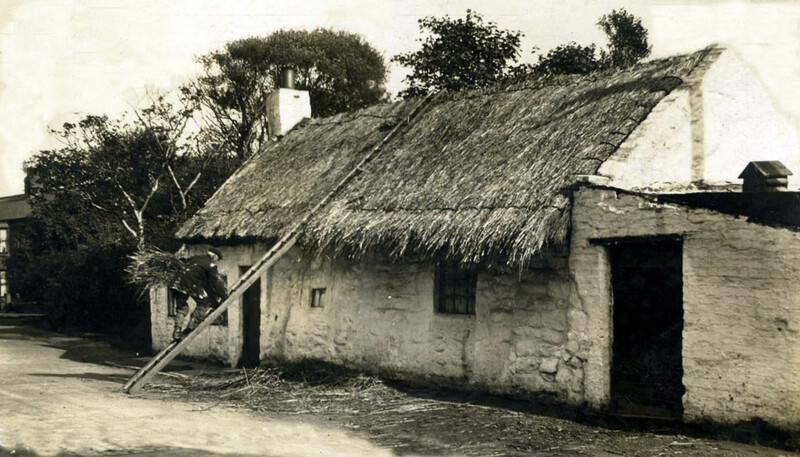 The thatcher is using the stobbing method, fixing the roof top and bottom with single bent staples… A method seen in Highland Perthshire. 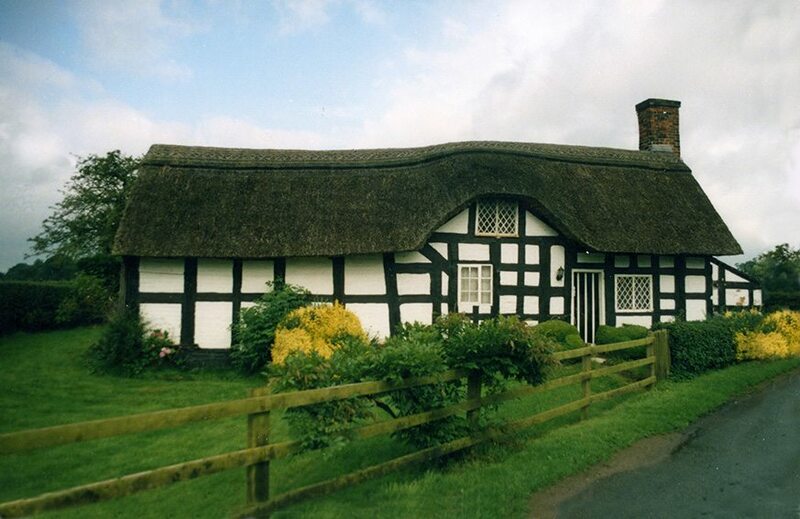 More Cheshire thatch… The upper right hand home is at Eaton, showing the distintve, local boarded gable ends, on both windows and the main roof. 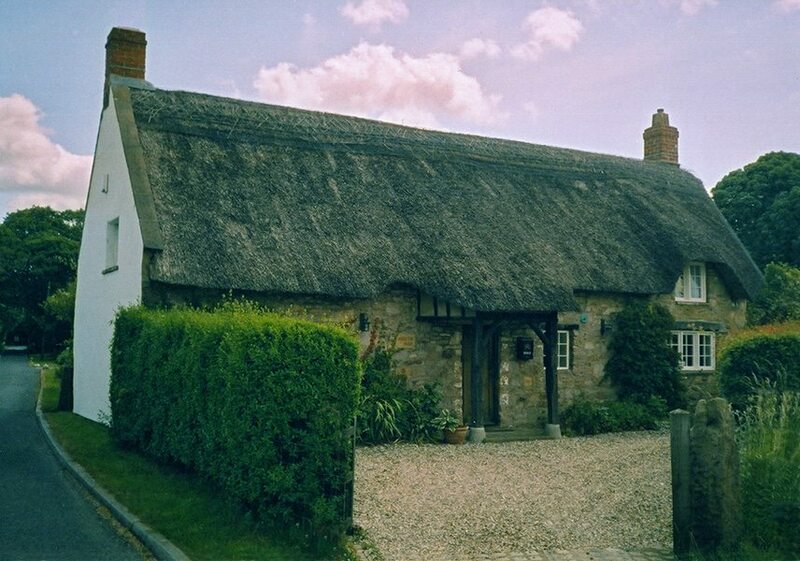 The left hand cottages are at Weaverham. 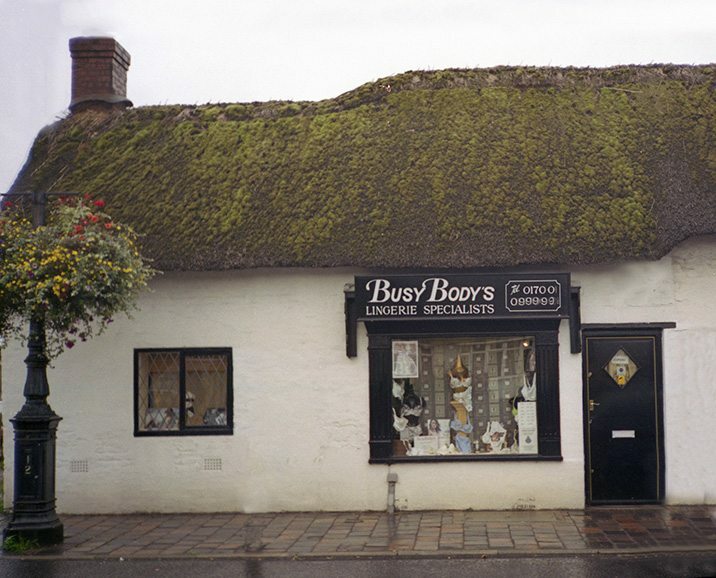 Both villages have a goodly number of thatches. 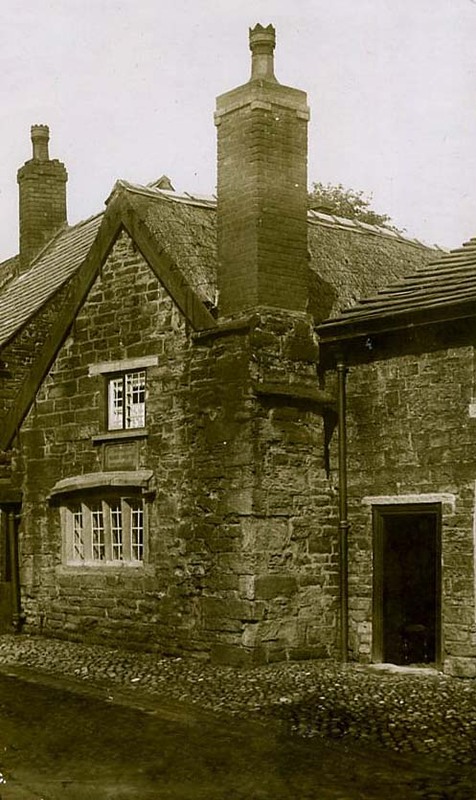 Now, two Black & White, Cheshire Cottages…. The stuff that dreams are made of.